Linda M. Dairiki Shortliffe, M.D. Dr. Judith L. Swain is currently Chief Medical Officer of Physiowave, LLC, and Visiting Professor, National University of Singapore. She was previously A*STAR Senior Fellow, Agency for Science, Technology and Research (Singapore), and Professor of Medicine at the Yong Loo Lin School of Medicine, National University of Singapore, and was the Founding Executive Director of the Singapore Institute for Clinical Sciences within A*STAR. Prior to coming to Singapore she was the Dean for Translational Medicine at the University of California, San Diego. Dr. Swain previously served as Chair of the Department of Medicine at Stanford University and held the Arthur Bloomfield and George E. Becker Professorships there. Prior to her appointment at Stanford, she was the Herbert C. Rorer Professor of Medical Sciences, Professor of Genetics, and Director of Cardiovascular Medicine at the University of Pennsylvania. Dr. Swain received her undergraduate education at the University of California, Los Angeles, and her medical education at the University of California, San Diego. She trained in Internal Medicine and Cardiovascular Medicine at Duke University. She then joined the faculty at Duke where she became widely known in the field of molecular cardiology, and pioneered the use of transgenic animals to understand cardiovascular development and disease. Her current research interests are centered on assessing and enhancing human performance in extreme environments. She co-founded a center (OptiBrain) with the goal of optimizing brain resources for performance in extreme environments. Dr. Swain has served in a number of national leadership roles in the U.S., including President of the American Society for Clinical Investigation, President of the American Association of Physicians, and an elected member of the Council of the Institute of Medicine. She served on the NIH Director’s Standing Committee on Clinical Research, the NIH National Advisory Research Resources Council and the NRC Commission to evaluate the organization of the National Institutes of Health. She served as a member of the Defense Science Research Council of DARPA, on the Board on Army Science and Technology, as Chair of the Triennial Army Lifesciences and Medical Laboratory Review, and on the Army Laboratory Assessment Group for the Assistant Secretary of the Army for Science and Technology. Dr. Swain has served on international advisory committees including those of the Wellcome Trust, the British Heart Association, the UK Medical Research Council, the Qatar Foundation, and the Canadian Foundation for Innovation. She is currently a Director of Lexicon Pharmaceuticals and of Avacen, Inc., and a member of the SAB for the Wyss Institute for Biologically Inspired Engineering at Harvard and RegenXBio. She serves or has served as a director or a SAB member for a number of biomedical technology companies, and is co-founder of Synecor, LLC a medical device accelerator. She now serves as the Chief Medical Officer of Physiowave, a medical device startup in San Jose. 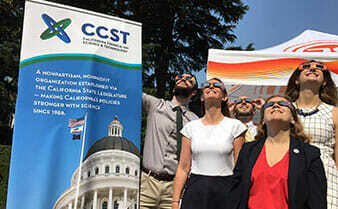 She is also Vice Chair of the California Council on Science and Technology (CCST). Dr. Swain has been elected to a number of honorary societies including the Association of American Physicians, the American Society for Clinical Investigation, the American Association for the Advancement of Science, and the National Academy of Medicine.